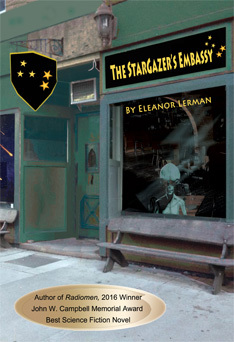 to note that Eleanor Lerman’s “The Stargazer’s Embassy” has been announced as a winner in 2018 American Fiction Awards. The book was the winning title in the Science Fiction: Alien/Space category. The awards are sponsored by American Book Fest.